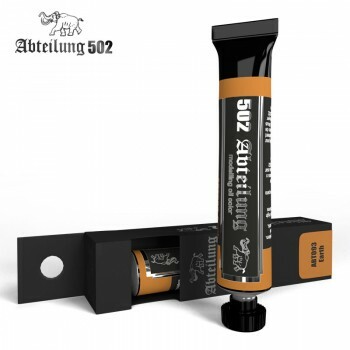 Abteilung 502 Earth Oil Paint 20mlA special colour, ideal for creating subtle ground effects. Colours that mimic these effects can be used in any segment of modelling making them very popular. A basic weathering colour used on the lower surfaces of vehicles; or any surface prone to the accumulation of mud and dirt. It can be used alone; however, for the most realistic finish and tonal richness we recommend combining it with other colours.